Overview of how to get started with creating your website. This guide is an outline of the initial steps we recommend taking to get started with building a one of a kind website for your community! When you first initiate a trial to create your website, you'll be guided through a setup wizard. This wizard is designed to walk you through the initial set up steps required for your website, and typically takes less than 15 minutes to finish. 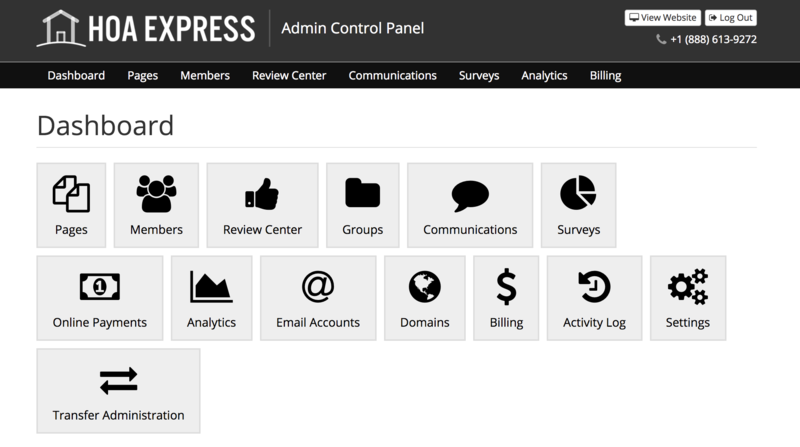 After completing the setup wizard, you'll be taken to the Admin Control Panel. This is where much of the website's management occurs. All of the tools needed to manage your website are neatly situated into sections, like "Pages," "Communications," and "Billing." The next best step at this point is to add pages and content to your website. To do this, visit the "Pages" section in the Admin Control Panel. The only page on a new website will be the homepage. Add more by clicking the "Add new page" button. You'll be given the opportunity to name the page and choose its type. Each page has been designed with a specific purpose and there are over 20 different types, including documents, calendar, and forum to name a few. Take some time to add a few important pages to your website. You can always add more later! Now that you've added some pages and your website is looking great, it's time to invite others to begin using the website (learn more). You can begin by inviting a few select members (like board members), or by inviting all members at once. If you're interested in creating accounts for your residents, check out how to import them! We've worked hard to ensure our interface is as easy to use as possible. However, we know that creating a brand new website for your community can be a daunting task. That's why we've backed our service with fantastic support that customers love. If you run into any questions or have any feedback, contact our customer success team.